We have been learning a lot in Seomra Dubh since coming back to school! 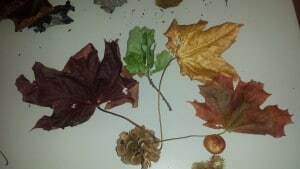 This month, we’ve been learning a lot about Autumn and the many changes it brings. 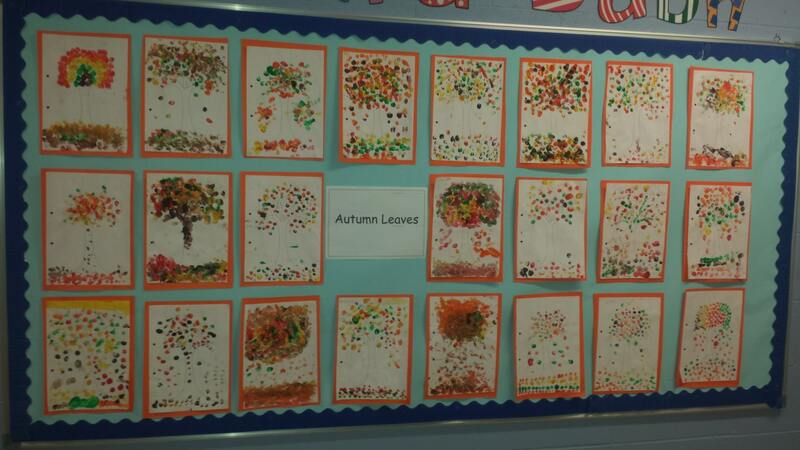 We’ve made beautiful trees highlighting Autumn. 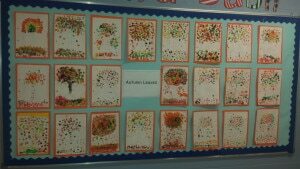 We hope you like all the different colours! We also created a nature table. Some children brought in leaves from the different types of trees as well as conkers and acorns. We just celebrated Science Week. 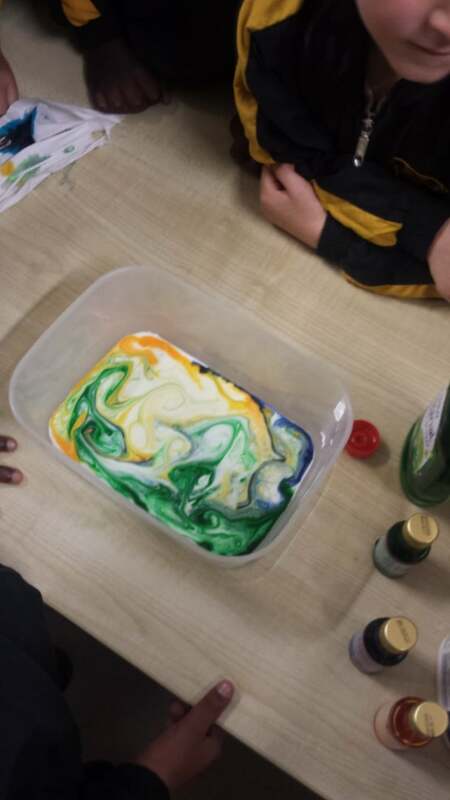 Our experiment was called “The Colourful Milk Swirl Experiment”. 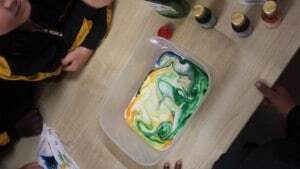 We tested how the fat in milk mixed with washing up liquid caused food colouring to swirl around in milk. Take a look below! We hope you enjoyed reading about our great work!